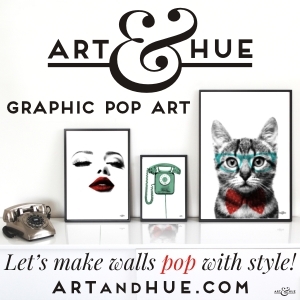 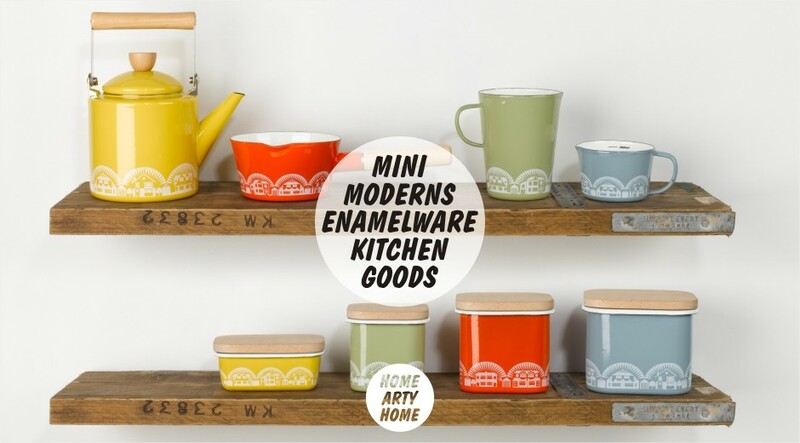 Home Arty Home has featured the work of Mini Moderns quite a few times but who could resist their contemporary spin on mid-century print? Certainly not Wild & Wolf who have collaborated with Mini Moderns to create this brand new range of colourful kitchen goods. 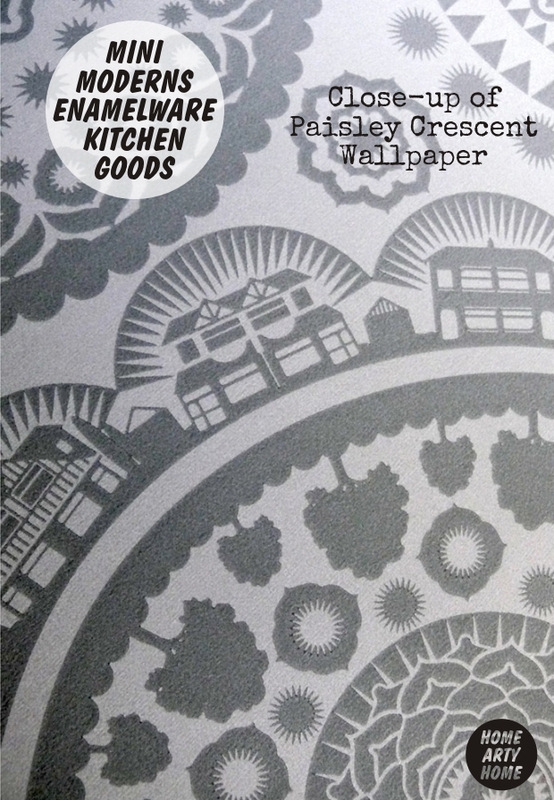 Taking inspiration from their own personal collection of Scandinavian cookware, the Mini Moderns enamelware collection features a band of pattern taken from their Paisley Crescent wallpaper. 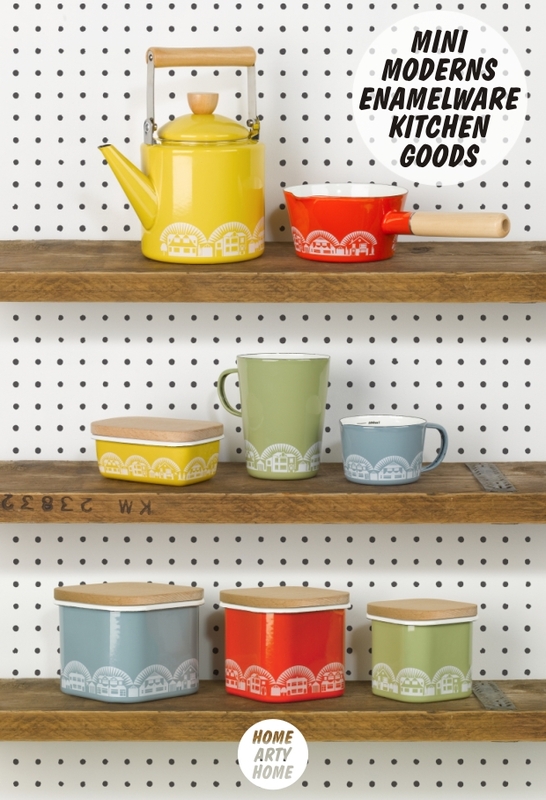 The range includes storage pots, measuring jugs, a butter dish, a chopping board, a milk pan, and a kettle, so that’s a stylish breakfast sorted then! 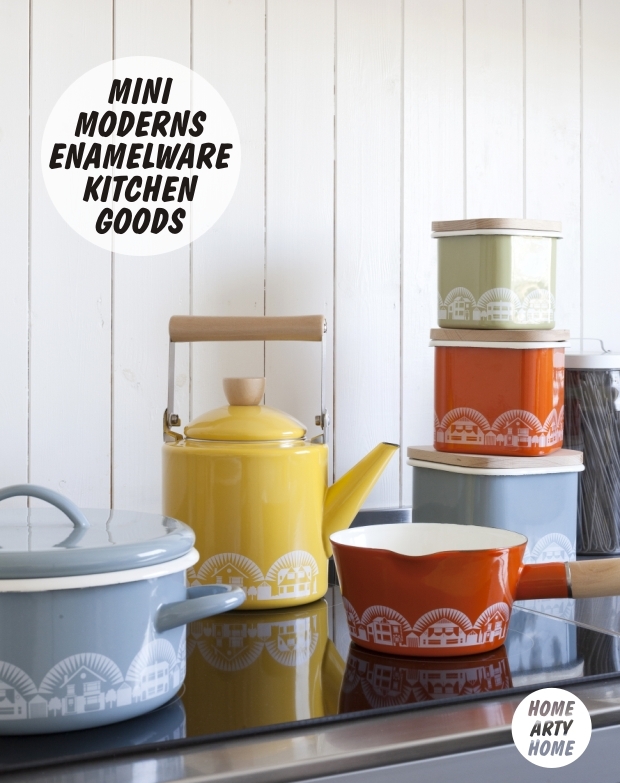 Available from the Mini Moderns website.